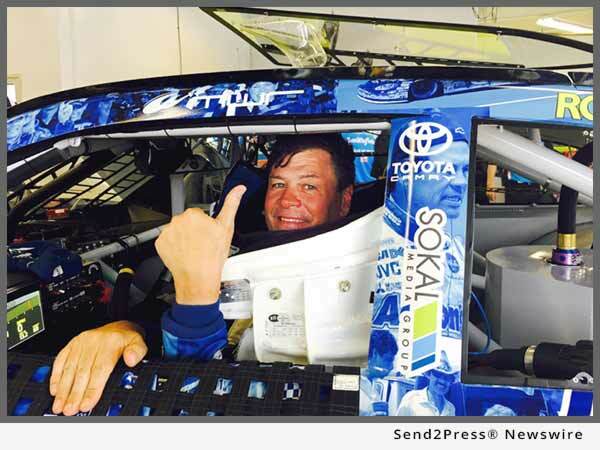 RALEIGH, N.C., Feb. 20, 2017 (SEND2PRESS NEWSWIRE) — One of the Triangle’s largest advertising agencies, Sokal Media Group, announced today that they will support Michael Waltrip in his final race, the Daytona 500, on February 26, 2017. In a partnership with BK Racing, the Sokal Media Group logo will be prominently placed on the B Pillar located over the left shoulder of driver Michael Waltrip. With headquarters in Raleigh, N.C. and offices in Morrisville, N.C., Sokal Media Group is the area’s largest advertising agency focusing on automotive advertising. Sokal Media Group is dedicated to growing business for their clientele through multiple marketing and advertising services. As a full-service agency, they manage the entire project from start to finish. Everything from media buying, radio and television production, ad design, direct mail, search engine marketing, website design, website maintenance, and many other products. The Sokal Media Group staff includes 84 employees from Account Executives and Account Coordinators, to Media Buyers, Digital Strategists, Website Developers, and Graphic Designers. Currently Sokal Media Group manages 217 clients along the East Coast. For more information on Sokal Media Group visit http://sokalmediagroup.com/. "We'll be right there with him as he races to victory," said Mark Sokal, CEO of Sokal Media Group. "My entire staff and I had the chance to sit down and talk with Michael about his career, goals in life and what it takes to be successful."